CH Projects (Craft & Commerce, Soda & Swine, Ironside Fish & Oyster and more) is currently searching for a Chef de Cuisine to run the kitchen at its highly anticipated Little Italy modern steakhouse Born & Raised, anticipated to open as early as the end of March. Corporate Executive Chef Jason McLeod and Research & Development Chef Phillip Esteban are currently vetting applicants for the Chef de Cuisine position at Born & Raised. Interested candidates from San Diego and beyond are asked to send their resume to Chef McLeod at jason@ch-projects.com for consideration. First announced in October 2015, CH Projects took over the former Nelson Photo Supplies building at 1909 India Street in Little Italy to transform it to Born & Raised - a restaurant built to pay homage to America’s greatest dining institution, the classic steakhouse. 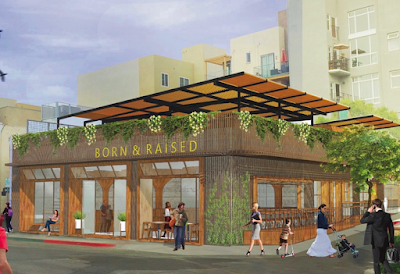 The name ‘Born & Raised’ is derived from CH Projects’ commitment to San Diego, a city that is engrained in their core values as an organization. Since CH’s inception in 2009, the collective has seen steady growth, now operating eleven hospitality-driven concepts within America's Finest City. 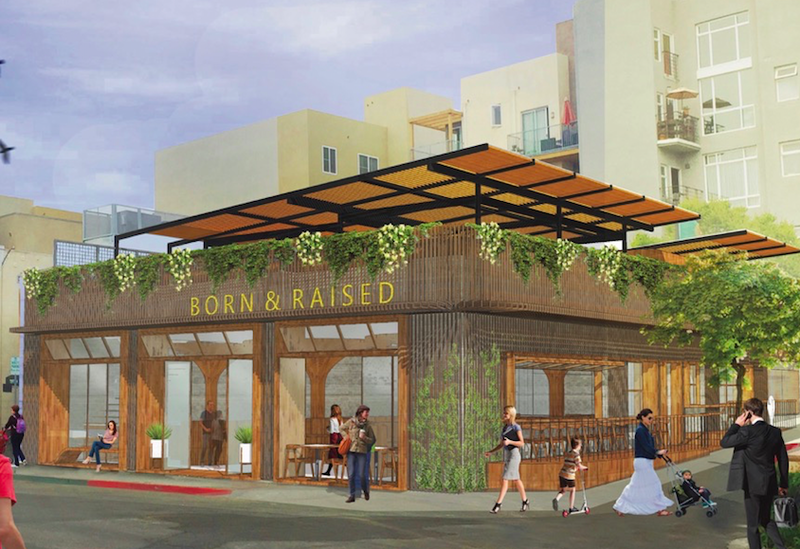 Born & Raised will be the collective’s fourth restaurant in Little Italy, a neighborhood that has experienced an immense cultural progression with CH as a definite catalyst for growth. The restaurant is currently receiving a complete, $2.5million top-to-bottow overhaul by designer Paul Basile of BASILE Studio, who is transforming the lot into a two-story, 8,000 square-foot restaurant with a midcentury architectural influence. The layout will feature two oversized bars and three dedicated dining spaces including the main dining room, downstairs patio seating, and a 1,500 square-foot rooftop terrace with an adjacent 2,000 square-foot open-air urban garden that will be used to grow many of the restaurant’s herbs and produce needs. Born & Raised will also operate its own retail butcher shop and onsite dry-aging program - a process by which cuts of beef are aged in a low-temperature, high-humidity room for weeks at a time. Born & Raised is on track for a late March/early April opening. For more information, visit CH-Projects.com.